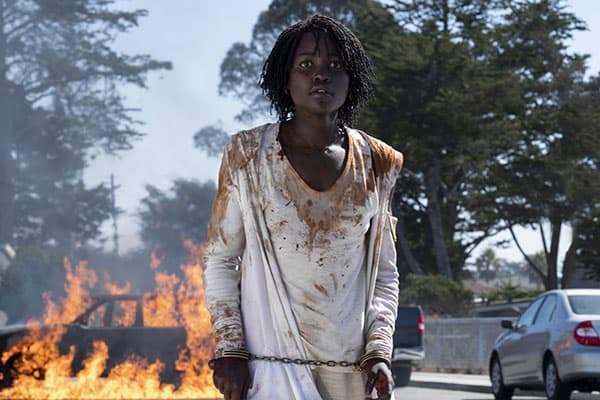 Home » Actor Tips » How Did Lupita Nyong’o Create Her Two Characters in Jordan Peele’s ‘Us’? How Did Lupita Nyong’o Create Her Two Characters in Jordan Peele’s ‘Us’? I worked very hard at trying to delineate the two and it was about very painstakingly creating a physical, emotional and psychological vocabulary for each one of them. And for me, what cracked it open was figuring out the physicality after all my research was done. I went into the physical work of it. A governing factor for me was that Adelaide I approached with a more naturalistic style, and with Red, I was definitely more stylistic. And then within that, Jordan gave me specific words that he felt represented each one. And I basically ran with those. [One thing] I knew about Adelaide is that she has a past in dance, and so having the residue of a dancer was something that I really worked on. I did ballet classes and that sort of thing. And then with Red, he used the words “queen” and “cockroach” and those two words are so dissonant, but they made a lot of sense to me.